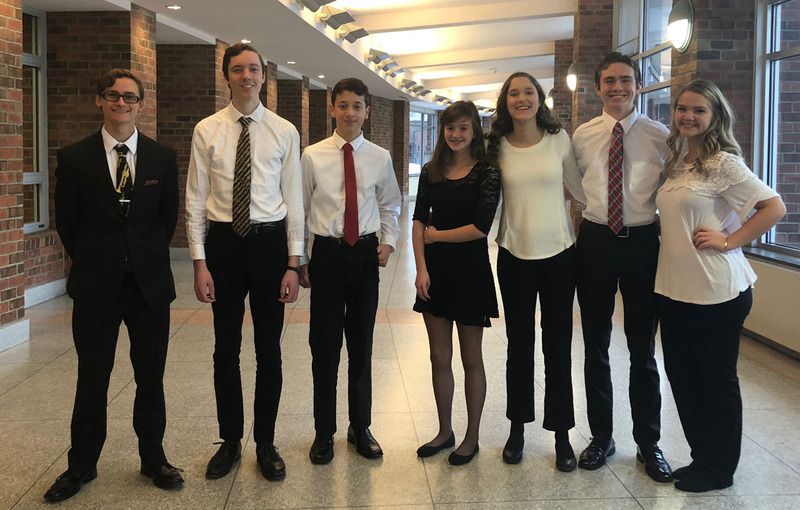 Columbia Students at the Area All-State Music Festival in Saratoga Springs (L to R): Michael Digman, Leif Haley, Tyler Davis, Allison Headley, Molly DeMarco, Brandon Smith and Laura Haney. Seven Columbia High School students were selected to participate in the Area All-State Music Festival on November 17 in Saratoga Springs. These students were selected based on the outstanding scores they earned at the New York State School Music Association Solo Festival. Each received an A rating on a solo. Congratulations to these young musicians who were chosen as among the finest from 55 area high schools!